The Collected Interior: Friday Five...client projects, our new sofa & a fiddle fig! 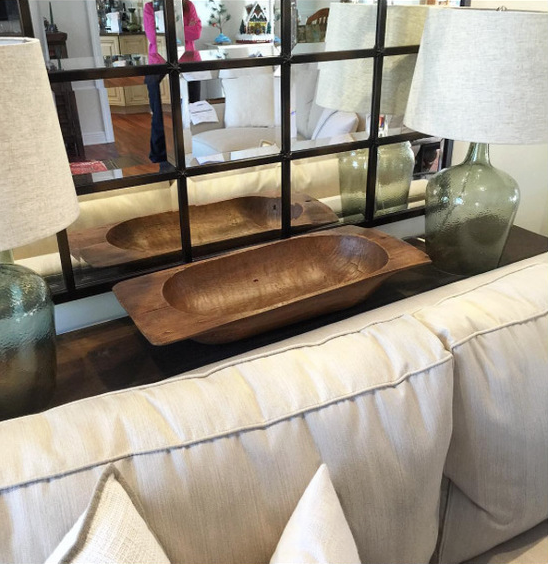 Friday Five...client projects, our new sofa & a fiddle fig! Hey guys TGIF! Today I'm sharing five favorites from my recent decorating adventures so let's get to it! Between client projects and my own personal decorating adventures, there are always fun things happening around here. And it usually involves saving money too because as you know, my passion is Affordable Interior Design! 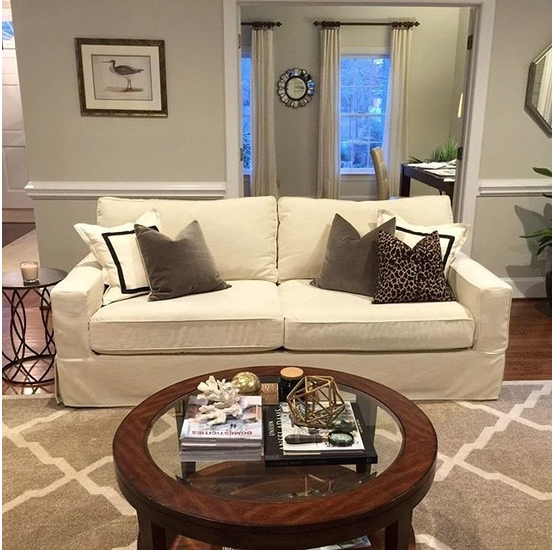 I've mentioned before that I source many of my client's home furnishings and accessories from Wayfair! In fact these two lamps and dough bowl above are from the W. I also source from Birch Lane, Joss & Main, AllModern.com, Ballard, Pottery Barn and Houzz to name a few, as well as a few local favorites. Did you know that this years HGTV Dream Home 2017, designed by Brian Patrick Flynn was furnished top to bottom by Wayfair? Yes! And I run my business with this same designer trade program and absolutely love it! I finally have a picture of our Pottery Barn sofa we purchased a few months ago! Ahhh, I can't get over PB's line of performance fabrics and how durable and stain resistant they are. They even have a Sunbrella line. This is the Comfort Square Arm Sofa - it's slipcovered and the fabric we chose is Performance Tweed in Ecru. 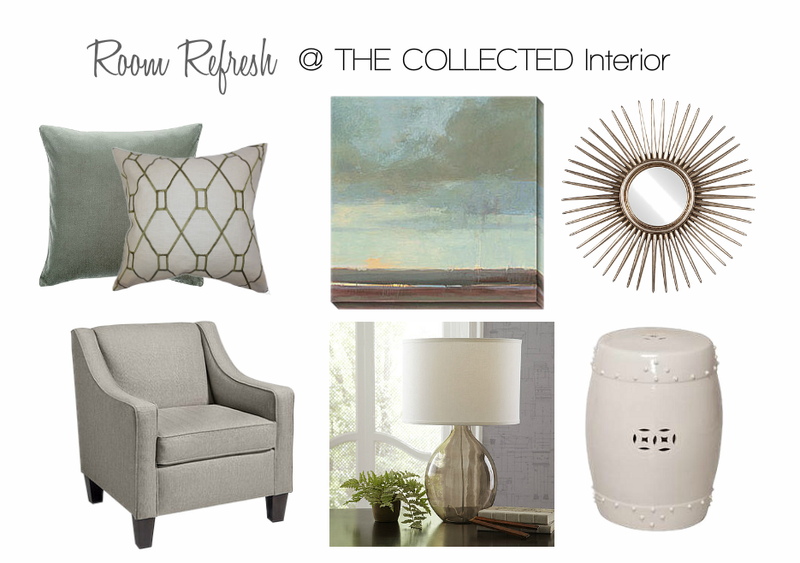 A fun services I offer here at The Collected Interior is our Affordable - Room Refresh. And if you're on a budget or need the most decorating bang for your buck, then this is a great option! With a Room Refresh I'll source a handful of home furnishings & accessories to coordinate with your existing furniture pieces. Here's a Design Board I made for a client above. We're incorporating a new blue - green color scheme, stylish throw pillows & accessories and even a new club chair for extra seating in a family room that needs some love. My simple New Year's Resolution this year was to add more plants to our home. 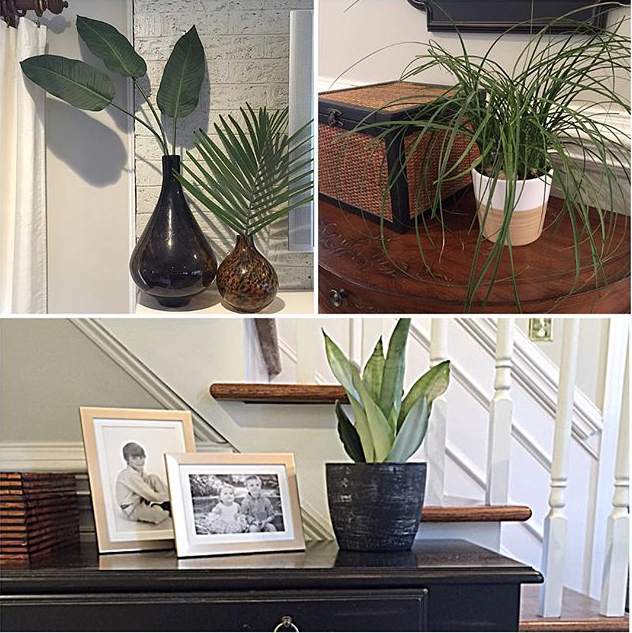 So I did my research and chose low maintenance plants including snake plant, ponytail palm and a few others. And WOW, this simple change has made a huge difference in how our home both looks and feels! And after the success of our smaller plants above, I finally found the infamous Fiddle Fig Tree here in Charlotte. 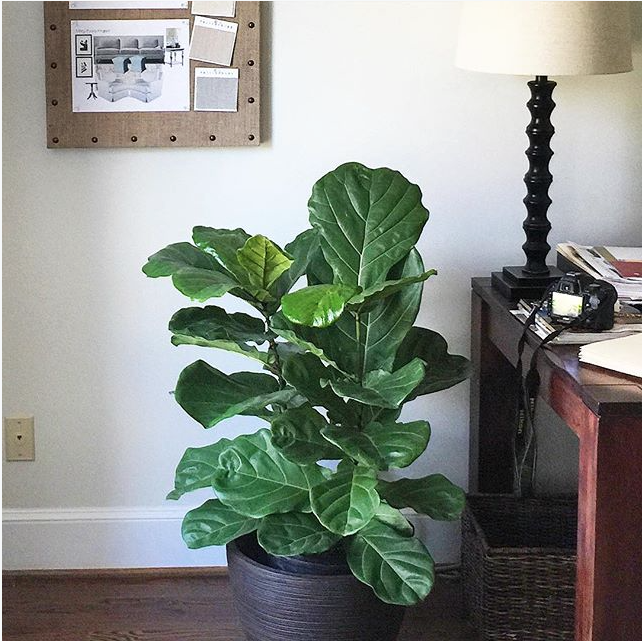 And purchasing this guy was a huge leap of faith for me because Fiddle Figs are not low maintenance, and can be very temperamental. But again I studied up and this guy is thriving! Okay that's my Friday Five, thanks for stopping by!